SON Technology has been designing and maintaining technology infrastructure for law firms in the Orlando area since 2003. The solutions and services we’ve implemented have helped firms focus on their areas of legal expertise and stay ahead of other firms. 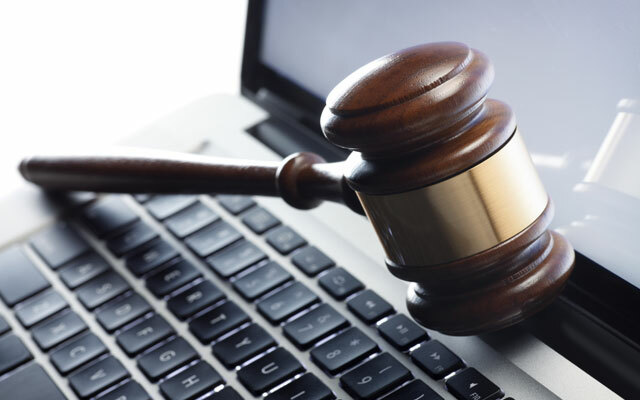 Our IT solutions are designed to help law firms meet their goals for future growth. As your IT partner, we will complete an assessment of your current infrastructure and develop a reliable, cost-effective IT strategy based on your immediate and future business goals. We will then work to maximize your productivity, secure your data, and streamline your operations by keeping your systems running efficiently. We understand the sensitive nature of legal work and the need to ensure the security of data, systems and networks to maintain the integrity of client information, case management strategies, and contract details. Our goal is to help manage your technology reliably so you can concentrate on your clients and legal cases. Law firms depend on information technology for every day operations, including attracting new and retaining existing clients, so having a reliable IT infrastructure is essential. However, maintaining your network, keeping hardware updated, implementing new software, and addressing user issues can require time and expertise beyond the scope of your firm. That’s where partnering with SON Technology can benefit your law firm. Whether you need to upgrade your network, transition to the cloud, or roll out new software applications, our managed IT services will save you time and money while improving your IT security and quality. Whether you want to improve network security or develop new applications to serve your clients better, our IT experts have the knowledge and experience to improve your IT infrastructure and business efficiency. With SON Technology as your IT partner, you’ll be able to handle IT demands, improve efficiency and quality of service, and manage your IT budget. Our IT experts will work with you to customize IT services and solutions to enhance your firm’s growth. Call 407-936-2220 or contact us online for a free law firm IT consultation.